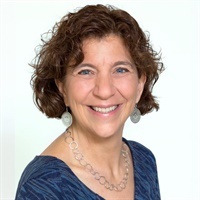 Deborah L. Korn, Psy.D., has been an EMDR facilitator and instructor with the EMDR Institute for the past 25 years. She resides in the Boston area where she maintains a private practice and serves as a faculty member at the Trauma Center. She is a co-investigator in an NIMH-funded study of EMDR vs. Prozac in the treatment of PTSD with Bessel van der Kolk, M.D. and lead author on the article "Preliminary Evidence of Efficacy for EMDR Resource Development and Installation in the Stabilization Phase of Treatment of Complex Posttraumatic Stress Disorder", in the Journal of Clinical Psychology. Dr. Korn is an EMDRIA-approved consultant in EMDR and a past board member of the New England Society for the Treatment of Trauma and Dissociation. She is a member of the EMDRIA Clinical Advisory Board and on the Editorial Board of the Journal of EMDR Practice and Research. She presents and consults internationally on the treatment of adult survivors of childhood abuse and neglect and other EMDR-related topics.